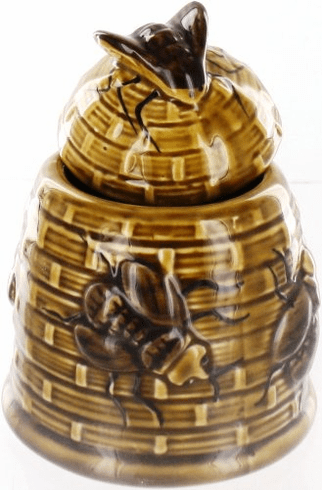 This honey pot is cutely decorated with honey bees and made of ceramic. Features a built in notch for a spoon or honey dipper. Holds 10 oz.